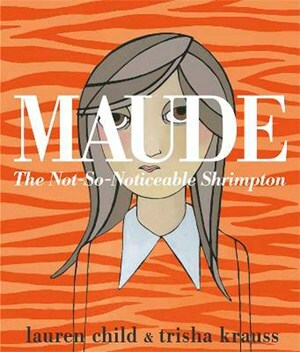 Maude: The Not-So-Noticeable Shrimpton by Lauren Child. Illustrated by Trisha Krauss. Maude Shrimpton comes from a large family. And not only is her family large, they all absolutely ADORE being different and standing out. Mother wears outrageous outfits like live peacock hats. Father has an outrageously long, curly mustache. Her siblings all stand out in their own way: beauty, laughter and dance. Maude just kind of blends in. Her family is horrified, and horrified that Maude is okay with it. When her birthday comes around, all she wants is a little goldfish. But that’s not nearly outrageous enough for the Shrimpton family. So they get her a tiger. Perhaps blending in can be better than standing out sometimes. This beautifully illustrated shout-out to all the kids who like to be low-profile, the wallflowers and the introverts is an unexpected delight with a wickedly funny and unpredictable ending. Lauren Child is perhaps best known for her Charlie and Lola books. If you have read any of these you will know that Lola is anything but a wallflower; her stubborn, imaginative and flighty personality is the opposite of Maude. If you haven’t read Charlie and Lola, you are really missing out. Maude and her celebration of the quiet child is a refreshing read, though if you are worried about the suggestion of getting eaten by a tiger, then perhaps you should stick with Charlie and Lola. Movies in Bed: Brain Games! Ever wonder how a flip book, or for that matter, a movie can take still images and create the illusion of movement? Have you seen that cardboard dinosaur that appears to turn its head to follow you? How do those sleight of hand experts make a coin disappear? These are the sorts of questions tackled by this National Geographic show, available streaming on Netflix (maybe on other streaming hosts as well). I’m not sure if it is for kids or for adults but we all enjoy watching the show together. My son is the one who discovered it and thought, what the heck, let’s give it a try. I was blown away. The first episode we watched was all about focus and how the human brain will ignore a bunch of really wacky things going on in the background while it pays attention to something else. 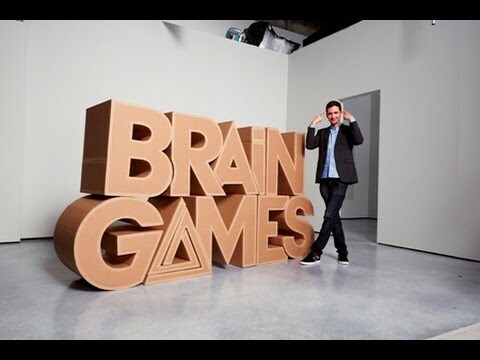 The show does a lot of public performances to show how these brain teasers work on most people. You’d be surprised how many people feel pain when a fake hand is hit with a hammer! It’s a fun blend of magic and science working together to amaze and inform. Each episode has a different theme, from memory to focus to deception. The science behind it is pretty interesting but what’s great is seeing your own brain get tricked by these illusions. Especially when you know your mind is fooling you but you can’t do anything about it! This is a fun, kinda silly, informative show that is great to watch with the whole family as pre-bed brain food. 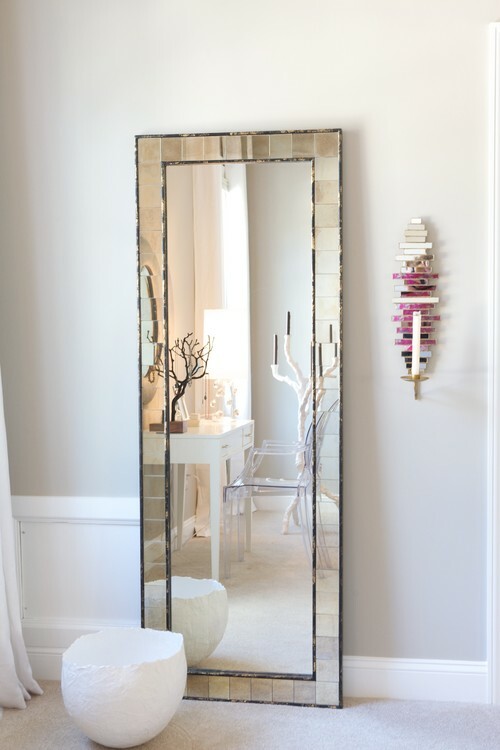 Whether you love mirrors or not, you can’t deny that these popular accessories are both decorative and practical. Every home contains a few, and usually, a mirror finds its way into a bedroom, be it hidden on a closet door or covering a wall in plain sight. Mirrors can add personality and quickly change the mood of a room. Let’s take a look at five bedrooms utilizing mirrors in different ways. 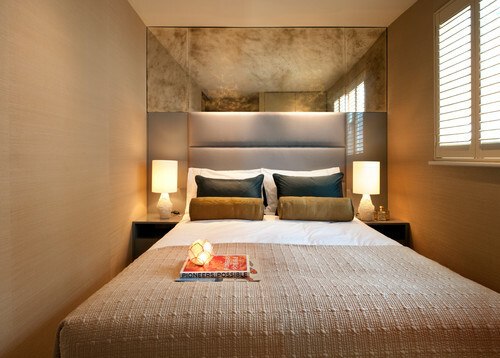 A mirror decorates the bed wall of minuscule London sleep space. According to the designer, failing to use mirrors is often a pitfall. We shouldn’t overlook the use of mirrors – a mirror can be your best friend. This glamorous Dallas room uses decorative mirrors as subtle yet stunning pieces of art above the bedside tables. Notice the layers in this bedroom’s design and how well they work together. 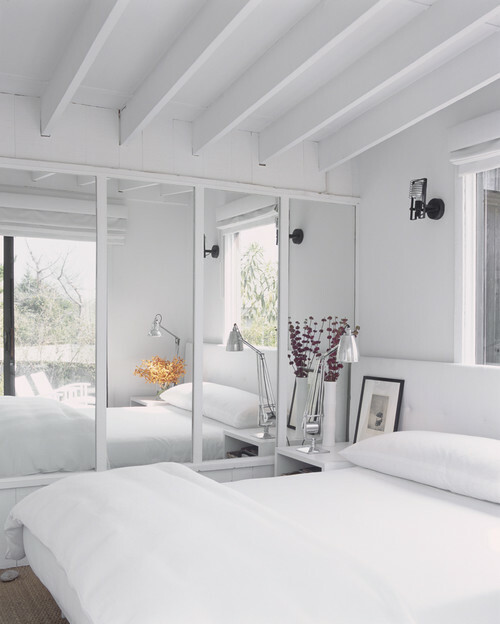 Light, bright, and airy is the theme of this all-white bedroom in a Fire Island Beach House. Here, the mirrors give the illusion of a larger space. 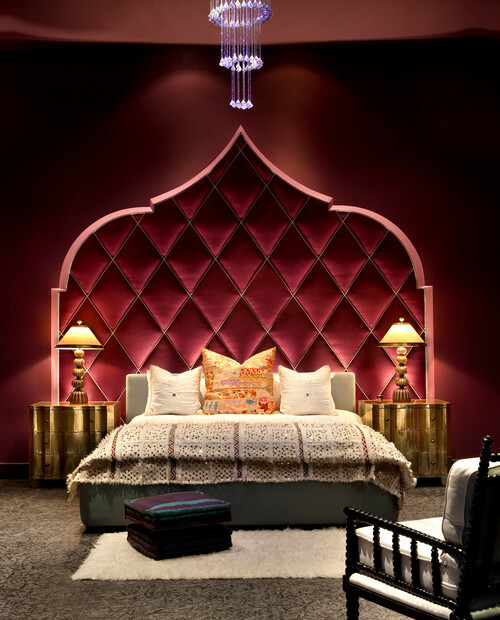 A tiled wall mirror and mirrored wall sconce make a bold statement in this Raleigh bedroom. The mirror’s reflection is more interesting than both pieces. 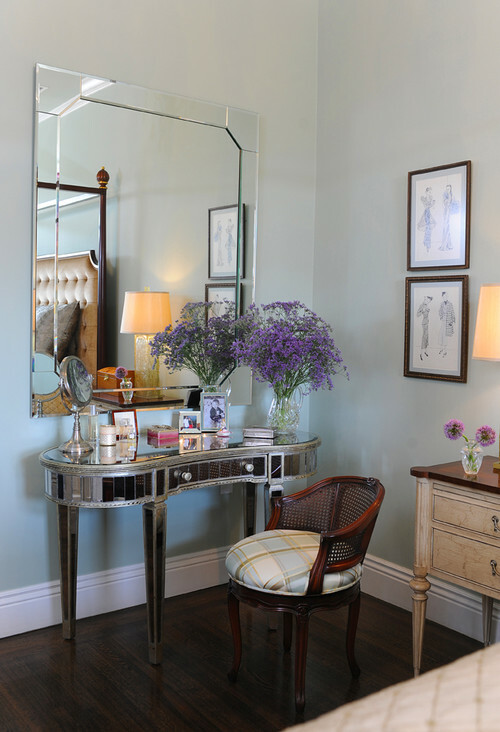 A mirrored dressing table and coordinating wall mirror complete the shabby chic look in this San Francisco home, proving that mirrored furniture can be successful in any style bedroom. Shabby-chic Style Bedroom by San Francisco Interior Designers & Decorators Brian Dittmar Design, Inc.
Cloudy With a Chance of Meatballs by Judi and Ron Barrett. There are a surprising number of picture books that have been adapted into movies, with varying levels of success. We’ve seen a few Dr. Seuss books: The Lorax; Cat in the Hat; How the Grinch Stole Christmas. There is the unlikely adaptation of Where the Wild Things Are. And we got not one, but two Cloudy With a Chance of Meatballs movies. (Full disclosure: I’ve only seen the second one.) And from what I saw of it, it wasn’t that bad. 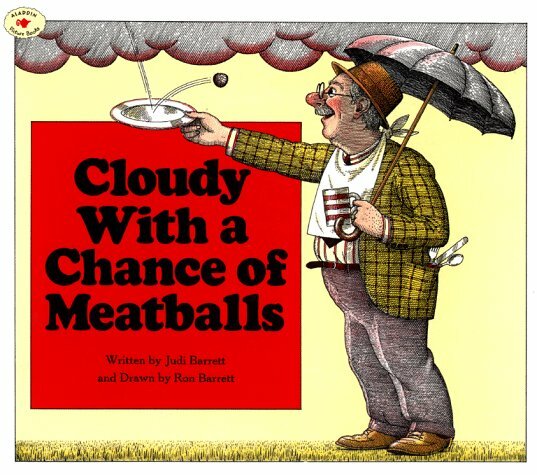 But nothing will touch the original book of Cloudy With a Chance of Meatballs with its sparingly colored pen-and-ink images of massive doughnuts and orange juice rain. I got this book from my grandfather when I was little and it instantly became a favorite. The story revolves around a wacky grandfather (not too unlike my own) telling the kids the story of the land of Chewandswallow where food falls from the sky. What a wonderful place it was! Spaghetti rains down for dinner, doughnuts roll in in the morning. But something goes awry. First the food is gross, overcooked, and bad. Then it becomes downright dangerous. Pancakes the size of a city block! Scary! The pictures are forever emblazoned on my brain. Especially the pale faced kids eating their weight in cream cheese and jelly sandwiches. This is a fun book and just writing the review makes me eager to go reread it to my son. It makes me a little hungry too. Last I heard, most folks think of February as the month of love. With Valentine’s Day falling on the 14th, we can’t help but plan dates, family get-togethers, and other social outings to celebrate with those closest to us. Since the color red often reminds us of romance, passion, and love, there’s no better time than the present to starting dreaming in red. Though the boldness of red isn’t for everyone, these five sleep spaces show how a bright color can successfully be used in a private space. 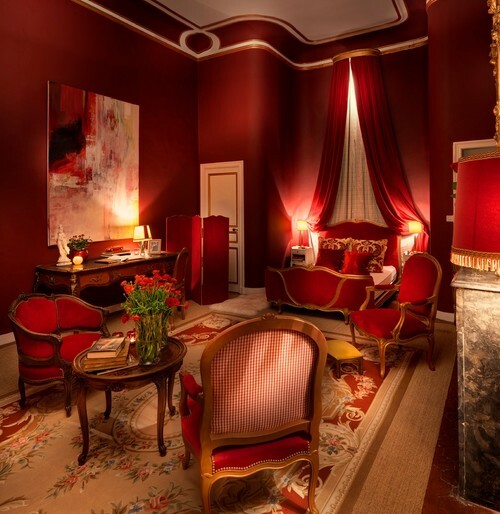 Get ready to swoon over these five romantic red bedrooms. Eat your heart out, Cupid! 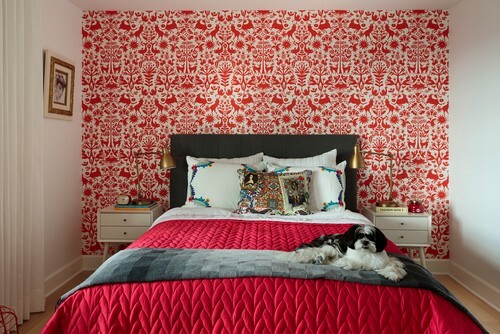 This New York City bedroom boasts the right number of red accents in the most perfect shade of red. 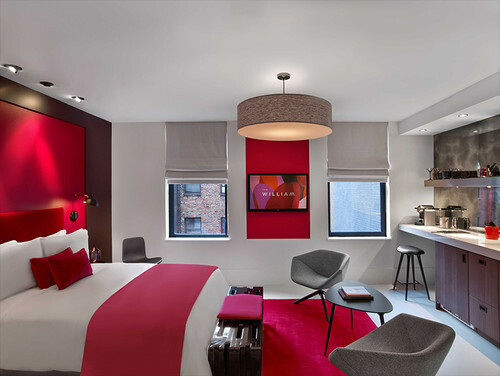 The space takes on a hotel-like quality with its crisp bed linens, chic décor, and uncluttered design. Tiny and unassuming, this alcove in Paris offers little space for anything other than essentials, but the red wall and pillow shams add interest and punch to the barebones bedroom. A fun wall covering from Anthropologie and a bold matelasse coverlet make this young adult room especially lovable. The pooch at the foot of the bed adds to the sweetness. This bedroom in Aix en Provence provides the ultimate romantic escape. Silk, velvet, and an Aubusson area rug contribute to the luxurious French feel.